Velleman PMLCD Small accurate 13mm LCD Panel meter suitable for use a Ammeter or Voltmeter or other industrial & domestic applications. 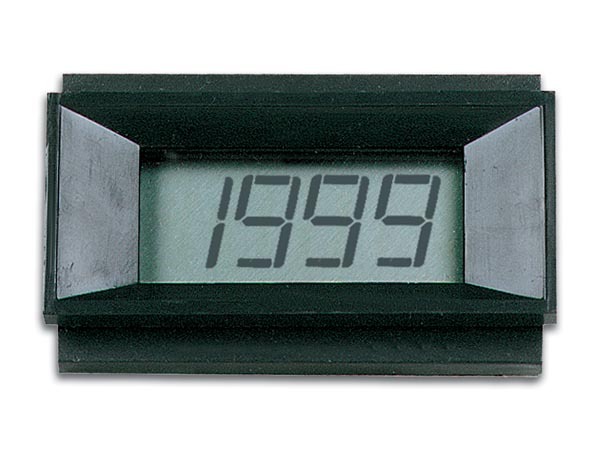 Features automatic polarity indication, guaranteed zero reading, decimal point selectable by wire jumper and over voltage indicated by '1' on display. Use resistor pack 124-400 to calibrate meter for other Voltage and Current ranges. To avoid serious damage to the module never connect the measuring circuit to the power supply.